We specialize in out of state moves as well as local moves. As a company that uses the latest GPS technology and the best logistic software to get you anywhere in the country. We even can use this software to ship your items overseas if need be. An out of state move is really all about the extra planning and we take care of all of this. Sometimes clients also need to ship cars, this can be common if you are doing a long distance move and you want to fly to the new location and wait for your goods to get there. We have the ability to not only ship your car but your possessions also and it will all be done without putting a single mile on the clock of the vehicle. If you are moving to a new state there is a few things you will want to make sure you are prepared for. Weather could be a big factor, if you are moving to a colder climate or warmer climate then you might have objects that you don’t even need to bring with you. For instance you will not really need a snowmobile or sledges if you are moving to Florida. Or if you have a boat and you are moving to a state that is landlocked with no nearby lake then this is probably not going to get much use so you should consider selling it. This is sometimes a common thing where clients bring a great deal of stuff with them that is never going to be used again. Not only does it make the move more expensive because you have more items and weight it’s only going to clutter up your new place. We recommend here at VMoving that you have a real good clear out before you move to shift any stuff you don’t need. You can also sell and donate items and give stuff to friends that you know will not get much use in the future. Try before you buy a place. And what is meant by that is if you are moving to new city or town and you are not familiar with the area then rent a home before you go ahead and make a quick decision to buy. This will give you time to get settled in to the new area to see if you like it and what neighborhoods might be more suited to you after living there for a few months. You will also find out the best schools in the district if you have kids so you give them the best start. 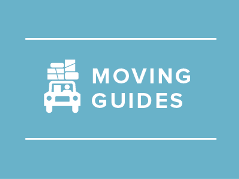 If you have any further questions about moving long distance then please feel free to contact VMoving, our staff always look forward to taking customers calls and dealing with any questions they might have. And if you just want to contact us through e mail then simply visit the contact page on our website and ask a question and we will promptly get back to you with an answer.